By the calendar, summer ends in September, however, you can keep the fun-loving spirit of the season alive year-round. Why not think of this Labor Day as a kick-off for keeping the relaxed summer vibes going through autumn and beyond? Hosting a Labor Day Luau is the perfect way to celebrate an endless summer. 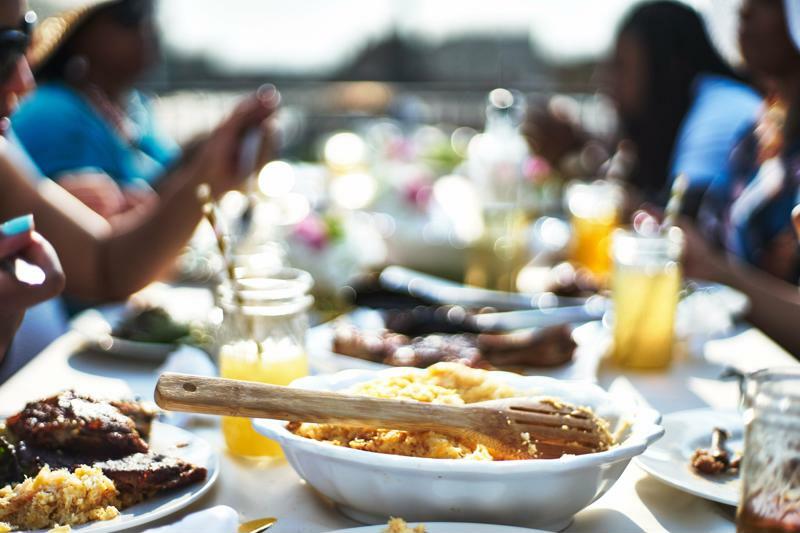 Hawaiian fare, deliciously refreshing frozen concoctions and a no-worries atmosphere are just what you need for a memorable Labor Day Luau that will get you and your guests into the Maui mindset. As soon as your party guests enter your backyard, throw a lei around their neck and welcome them into a lavish Polynesian paradise. It's all about letting loose and having a good time - so hand them delicious frozen concoctions, see recipe below, as they mingle and slip their way around the party. Set up bright floral print decorations in turquoise, orange and fuchsia hues, along with splashy palm tree, pineapple and coconut accents. Be sure to corner off an area on the patio for hula dancing, complete with tropical island music and grass skirts. For a sunset party, position tiki lights around the area to finish off the luau look! Celebrate an endless summer with a Labor Day luau. Paradise means an endless supply of indulgent frozen concoctions. The Margaritaville® Jimmy Buffett Anniversary Edition Key West™ Frozen Concoction Maker® brings a touch of the Keys to your Hawaiian Isle celebration. The extra large ice hopper holds enough ice for three pitcherfuls of delicious frozen concoctions so you can mix large batches and serve guests endless concoctions! Add white rum, cream of coconut, pineapple juice, orange juice and mango cubes to the Margaritaville® Jimmy Buffett Anniversary Edition Key West™ Frozen Concoction Maker® jar. Flip the switch to Shave and Blend for automatic mixing to the perfect consistency. Pour into sugar-rimmed glasses and garnish with an orange slice, a swirl of whipped cream and a colorful mini paper umbrella. 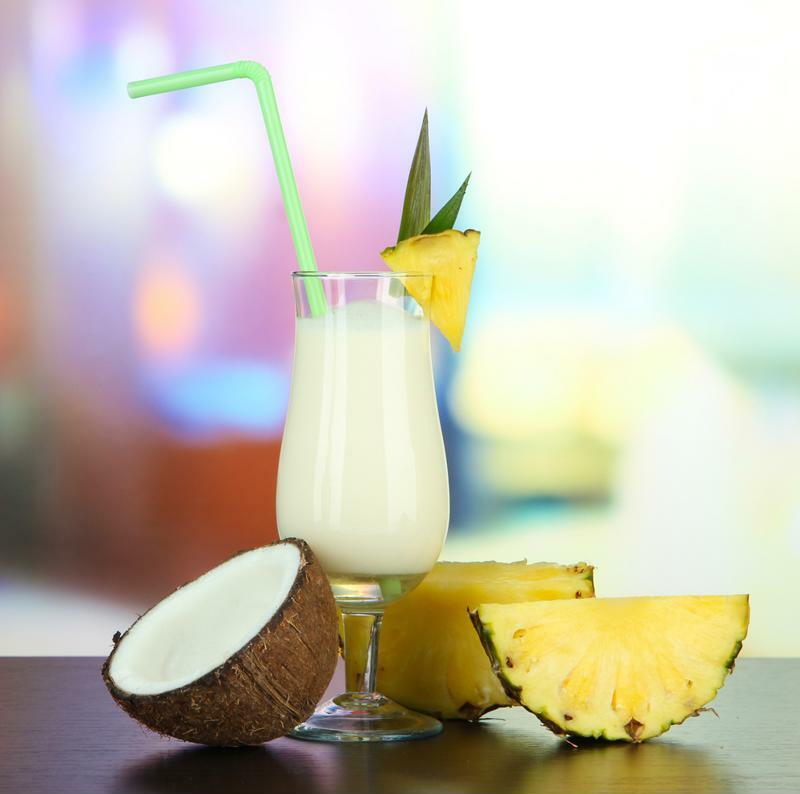 Sip Endless Summer Piña Coladas at your Labor Day Luau. An array of tropical-inspired fare is essential to your Labor Day Luau. Go all out with a pig roast or serve grilled shrimp and chicken kebobs with pineapple, onions and bell pepper. For snacking, serve a tropical fruit salsa in a hollowed-out pineapple and accompany with tortilla chips. Burgers topped with mango chutney or grilled pineapple slices are also a great option - serve with a crunchy and satisfying coleslaw made with pineapple pieces, shredded carrots, fresh cilantro and lime juice. Set up a game of limbo to see which guest can go the lowest - give out extra points if someone can go under the bar while still holding her frozen concoction! Another fun idea is to create an easy, DIY photo booth for snapping pics. Set up a small area in the party space for taking photos - use an island-inspired backdrop of palm trees and umbrellas, then arrange props that guests can use in their photos, like beach balls, boogie boards, sun hats and zany, extra-large sunglasses. With some easy preparation, you can throw an unforgettable Labor Day Luau that will transport you and your guests to and island escape - and keep the fun-loving endless summer vibes going all year long.